A&R Report had the pleasure of getting in touch with highly successful A&R executive Max Gousse, Senior Vice President of A&R at Island Def Jam Records. Max Gousse provides us with insight in regards to his history working with one of the industry’s most powerful artist managers, Irving Azoff. In addition, Max sheds light on his success earning 5 Grammy Awards for Beyonce’s ‘I Am …Sasha Fierce and future plans as Sr. VP of A&R at Island Def Jam Records. Max, it is evident that you have had a storied career. Tell us about your first A&R Job in the music industry? The first A&R job I had was at Giant Records working with Irving Azoff, who continues to be an industry giant, as well as Cassandra Mills who also recruited me. They recruited me to re-open the Giant Records office, so I moved to New York. I left The Box, which was based in Miami, Florida. I had a great time working at Giant Records. Our few releases were, The New Jack City Soundtrack, Colour Me Badd and Jade. How did that experience propel your journey into becoming one of the music industry’s most successful A&Rs in the business? Thanks man, I appreciate the compliment. One, it really gave me the mindset that you really have to develop and nurture talent. Cassandra Mills always told me that our job as an A&R was to find “diamonds in the rough, and to polish those diamonds,” and I’ve always used that mantra throughout my career. When I’m auditioning new artists, I’m always thinking “what are they going to be, two, three years from now,” and that’s how I judge the talent. When I put in the work and the rest of my team puts in the work, I review and look at what the future holds for the particular artist. One of the most successful acts you discovered was B2K. In urban music there has been a scarce amount of urban boy bands since B2K. What is your feedback on boy bands? Do you think they can still be successful? I think the boy band ‘sensation’ is definitely something that’s cyclical. You had the wave of B2K, who was pretty much modeled after what happened with New Edition and Bel Biv Devoe. For today’s generation of boy bands, you have Mindless Behavior as an example. They may not be selling the same amount of units, but they are packing 5000-10000 people a night. They are definitely a group that I feel have potential – I’m always looking for potential boy bands, or boy bands that are already made. You are well known for working with Beyonce on the album’s, B’Day and I Am… Sasha Fierce. What was it like working with her? Career wise, I am really proud of those two records. Interesting thing is that both records were made in two different ways; the B’Day album was finished in a short amount of time because we effectively pieced together an excellent team of producers and writers. We flew down to Sony Studios in New York and just locked it down for 4 weeks. We were able to complete a record we were proud of in a short period of time. In regards to “I Am… Sasha Fierce,” it took a year. We recorded the album in New York and LA. That record included the Grammy award winning ‘Single Ladies,’ which is her biggest record to date. – I’m equally proud to have worked on both of these records. Aside from that, what is your approach in finding new talent and working with new artists? One thing I’ve noticed that I admire, is that you’re very interactive. You’re on Facebook, Blazetrak, and Twitter. You use various extensions of social media to connect with aspiring artists. What is a day in the life of Max like? To be honest, I have what you would consider ‘soldiers’ all over the globe, really looking at talent for me. Social Networking is an important means of communication between the ‘Next Big Thing,’ finding talent from a referral and myself or a fan in a remote part of the world (like in a city that I’m not in) makes sense, to harness all those ‘eyes and ears’ to help me find new talent. I have trusted producers; A&R scouts such as yourself; all over the world sending me great music and material of artists in different communities. Do you feel that artist development is still a major component to the artist’s success in today’s music industry? I feel with the way that majors are set up right now, an artist’s development occurs before the artist walks through the door. I think as an A&R, if you really believe in the project you really need to dig in and try to make it as good as possible before you even bring the artist in the building. Once the artist gets signed, there is some artist development that takes place, but more so in the touring and the development of the artists’ packaging and distribution. That said, there is a lot of artist development that does occur before the artist comes through the building and that is the responsibility of the artist, the artist manager, and their team. The label is not involved in working on your choreography, and working on your initial imaging, in addition to getting you local shows so you can build your fan base. Those are things that you as an individual need to take on as responsibility in conjunction with your manager and your team. Max, have you ever taken a risk with an artist by pushing the envelope? If so, what characteristics led you to sign him/her? To be honest with you my riskiest signing would have to be YG. 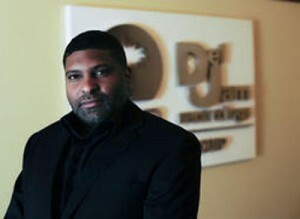 When I got to Island Def Jam, I was recruited by L.A Reid – who is now at Epic Records. Personally, I believe that because of my success on ‘B’Day’ and ‘I Am … Sasha Fierce’ with Beyonce, people were expecting me to be the guy who just made records with female R&B artists. When I brought YG to the label, it was very ‘west-coast’ centric. He was very raw and young at the time. So yeah, I feel like it may have caught everyone by surprise. One, because I’m the one that signed him, and two, because we had some immediate success with ‘Toot it and Boot It’ out the gate. Any future Island Def Jam releases that you’re excited about? Anything new coming up? Absolutely! We just released 2 Chainz’ album, in addition to Rick Ross, Nas, and Frank Ocean’s releases which are in stores right now. It’s definitely been a ‘Def Jam Summer’. We have some new acts coming soon as well. We just dropped Jhene Aiko’s video – 3:16 AM and there’s some new music from Jerimih coming soon. Definitely a lot more in store. Max, any last words for A&R Report? It’s a really great time for the industry. You have digital revenue now surpassing physical revenue. So I feel it’s a great time for artists to get in the system. ‘Let’s work!’. I am looking forward to the future. There are definitely going to be more signings. I’m looking forward to the ‘Who Got Next’ Artist Showcase in Toronto and also connecting to new talent in the near future.